Reflective Thinking create educational iPad apps and work with educators and learners across the world to enhance key skills of creativity, collaboration, higher level thinking and problem-solving. Enhance students’ key skills whilst they learn about important topics, but with complete activities in the form of iPad apps. From history, to maths, to science, there are Digital Mysteries in lots of subjects, aimed at those age 7-16. Thinking Kit is a quick, simple way to create iPad activities which are then downloaded from the cloud onto learners’ iPads. The activities help learners develop higher level thinking and collaboration skills while they build knowledge of any chosen topic. independent, pair and group activity." We propose learning using a variety of mystery tools! The Orchestration Tool empowers the teachers in the classroom by giving them control over the applications and increasing their awareness regarding the work of the students. Traditional paper based mysteries were designed to be used as a Collaboration Tool to encourage high quality exploratory talk and for ideas to be co-constructed by pupils as they 'shared their brains'. 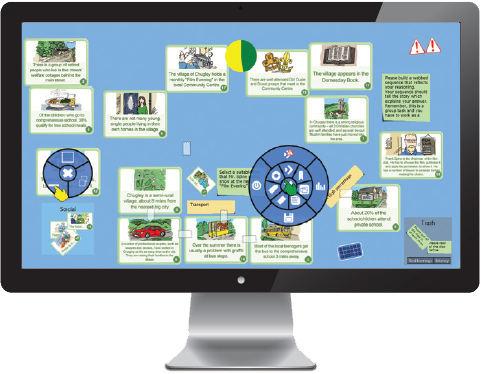 The Mystery Creator Tool allows students and teachers to easily create their own mysteries. 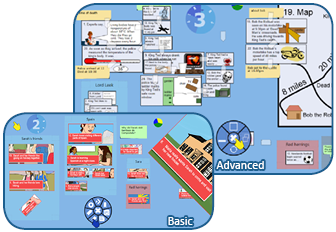 It’s ideal for Project Based Learning or teachers who want to devise their own tasks.